Secondary monster seriously it works best up close and personal. The setup and design of the superstructure, AA mount, and DP mount setup is ridiculous. It should have been more clustered akin to Yamato or some of the other artist interpretations. It should have also added more 155 triples to the rear, rather than remove them. Instead, the hangar should have been removed, so that it doesn't become a shell trap for guaranteed citadels through the aft. Similar to this design by Tzoli, just with fewer short and medium range AA. The oddball turret layout I could live with, but the secondary range could stand to be buffed to at least match FdG, if not Alsace. For one, it uses older 127mm DPs, and even if it had 4x3 155mm turrets, those would be firing AP. This would mainly provide a bit of a QoL buff to dealing with some harassment from the rear, though they won't do much unless the target somehow went broadside to the 155s or the 155 AP managed to disable or detonate the harasser. I would also up the overall number of 127mm DPs to 12 turrets, which really wouldn't affect a damn thing AA-wise, but would at least allow for a more consistent superstructure and secondary potential. I actually didn't think it was that bad going through it. You are both right and wrong. The popular design that's been used for models and artists' renditions was the Nelson-style all-forward design. That design was restricted to the 460mm designs of the A140 design series (of which, one of those became the Yamato-class after final decisions). The one Wargaming chose for Izumo was from the A140-J sub-series, which featured 410mm guns instead of 460mm. Those designs used the reversed 3rd turret setup to tighten the volley and for load balancing considerations. 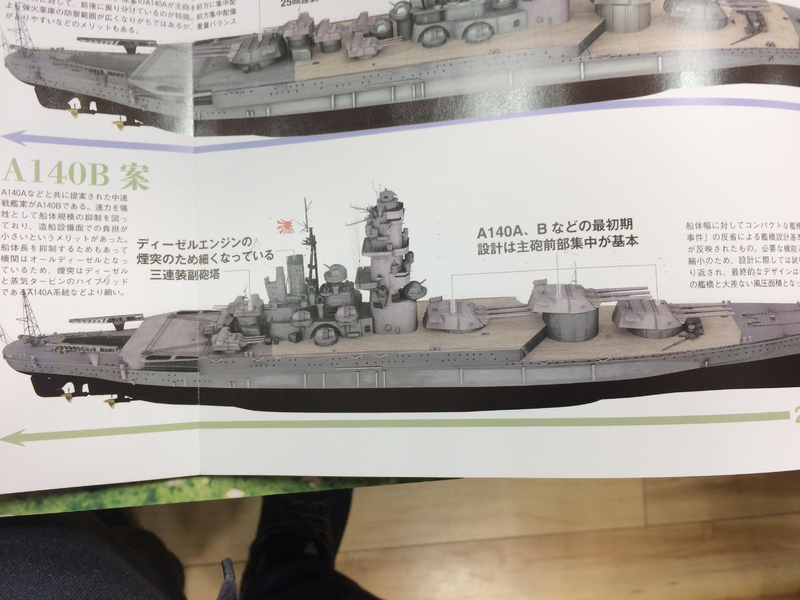 Wargaming officially said the Izumo was based off of the J2 design. That being said, Wargaming's decision to use J2 just because it used 16" guns instead of 18" was shortsighted. There was nothing stopping them from taking the more conventional Nelson-style design and just shrinking the turrets and guns to the 410mm triples currently used on Izumo. Moreso now that WG isn't playing as strictly within design parameters with later ships. If you want to read more on the A140 designs, you can read up on a good portion of Yamato's genesis here.
" Izumo (tier IX) will become more comfortable in Update 0.7.12 due to an increase in armor penetration of their AP shells"
I tried Izumo on the Public Test server, and didn’t find it to be the absolute dog that some make it to be. She can be quite formidable when you go with a dedicated secondary battery build. Has anybody played this ship in 8.0? FDG is fun now getting ~22 second reload on the 406 rifles. I would have to convert ~100K free xp to skip to the Yamato. Checking the average stats (I am an average player) puts this ship in last place but it has been in the game since launch. Thanks. Izumo's only "Sin" has always been she is not Yamato and now Musashi. Prior to the HE pen buff to FDG's secondaries Izumo could bully FDG at any range. With ifhe FDG vs Izumo brawls can get ugly. If the FDG opens up to use those secondaries than Izumo can remove large chunks of health with AP. If FDG bows in then the Izumo will just remove her front turrets. I'm more concerned about getting rammed than a pre HE pen buff FDG's ranged attacks. The only thing to change since launch for this video vs BBs is that Yamato no longer overmatchs Izumo's main deck. Izumo has always been a floating middle finger to large caliber AP. You can't look at average stats when looking at old ships like Izumo who have undergone significant changes. The vast majority of Izumo's history, she had very little redeeming qualities and her performance wasn't great. Stat websites today cannot isolate recent stats from the entire game's history. Warships Today used to filter this with 1 week, 2 week options and you can get a more clearer, accurate picture with current game values. But that website is dead and none of the other stat websites have a similar filter. Izumo was trash before the changes. Right now she's quite respectable. FDG and Iowa also got buffed, and you can't see their performance from the same limited capability from stat websites. Only played a handful of games with Izumo so far. Stock is tough like just about every other ship. I've added the A hull and some modules and a tier 9 commander. I find gun accuracy tough at 12 km, too much scatter. I find she works better in close so I may beef up the secondary guns for better results. I'm having much better results and she should be ok to work my way to Yamato. T10 BBs are hard on her. With the Amagi, Musashi and Monty full broadside brawling works well but I lose those battles in the Izumo. At least at this point in the game. I like to get a new ship and play a few games before applying any modules or commander skills. This way I find what I don't like and then work on making it better then change later if I don't like it. This way I end up with something that fits the way I play rather than blindly duplicating other players successful upgrades. Hilariously enough, I've had the best game of my WoWs career in a stock Izumo. 6 kills. 205k Damage. Confederate, High Caliber, Close Quarters Expert, Kraken Unleashed. Of course, It was done during 0.8.0, where it isn't as trash as it was. At least the 410mm rifles hit hard, the turrets turn very quickly (for a BB that is), and the shell velocity is just superb. The 3rd turret is always an issue though. Need to show quite a bit of broadside to even use it. I rate this boat a worse balancing disaster than the Akizuki through Harugumo with their 25mm base shatter threshold Super HE. Except it's in the other direction, making this a Free XP sink above all others. 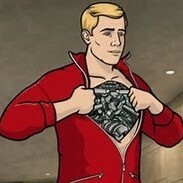 EDIT: Have upgraded to top hull. Still makes Seattle look like the most OP thing ever put in the game. I'm on the izumo now, not great, not terrible. 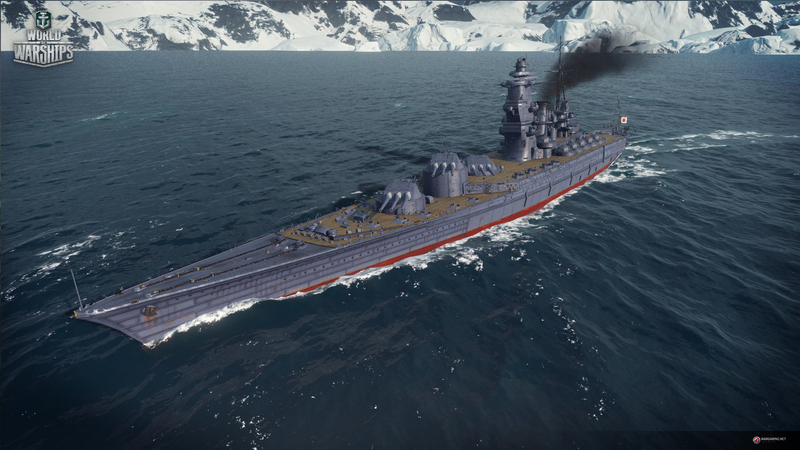 Its the first IJN battleship that doesn't feel like paper in close combat. I liked the clustering of the shots from the Amagi better, I could consistently cit with the Amagi, it always feels random when it happens with the Izumo. Still it's the first IJN BB which basically can ignore CA/CLs, and which can go up against 2 BBs and not feel like it's barely clinging on to life (even Tier X). Still it's huge broadside is squishy, and its huge deck makes it a prime target to dive bombers who do a number on it. Uh, IFHE CLs go right through that 32mm plating the Izumo has all over the place. And all CAs do that with HE. I did not have the Izumo prior to the upgrades done. I know that different players like different ships and my experience is different than theirs. I really did not like this ship. I found the most success bow tanking and completely ignoring the 3rd turret. Even then, I did not like the ship. I do not mind bow tanking in my Moskva and find it enjoyable. 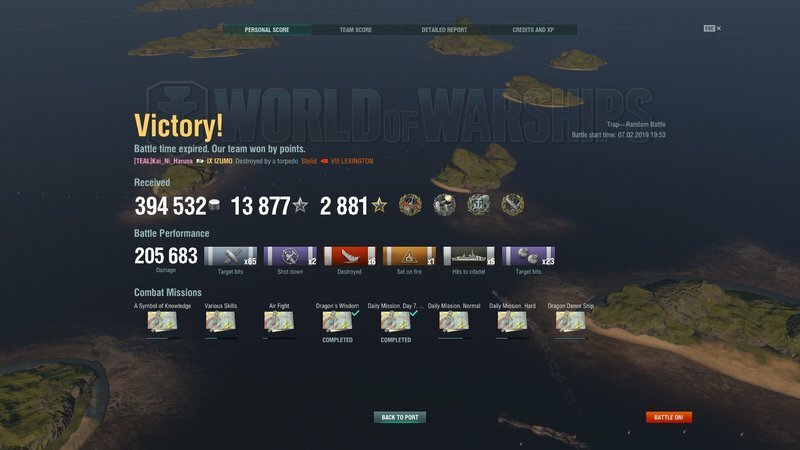 With the Izumo, I felt it was a grind and not enjoyable. I am glad that WG decided to upgrade it some, but I still do not think it is a great ship. I see some comments about the FDG and what they did with it (the changes make it better, but not OP). I got rid of the Izumo as quickly as I could and with getting the Musashi, I have no desire at all to re-buy the Izumo. For those that like it, I wish you the best. What is funny is that I do have the Nelson and love it. 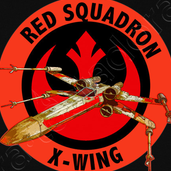 That 3rd turret facing in reverse is what really sours me on this ship.